Hi, my name is “Sunnyside”. In my life, there had been tough times and turns, with bullying, and abuse from someone who should’ve been my mother, but instead wanted to be a beast. With many years of gossip saying I was addicted to drugs, and hate sites about me, even people beating me up physically and emotionally at school, made me have thoughts of the unbelievable. I had no idea what I was made for. At the ending of sixth grade, I was then sent to a receiving home, because my bipolar grandmother couldn’t take care of me, saying my anxiety was driving her insane, and that I acted like a foolish child, when really I just needed someone to be there for me. I lived in hell for months on end, staying there at the receiving home, until horror struck; a girl beat my chest so hard they turned raw. I thought that having only a good hour of sleep a night was painful enough, she lead me to having only a good fifteen, waking up then afterwards, wanting to cry. I even almost fainted at school sometimes. I was then sent to live with my father, sole custody. My pain was cleansed, and I even went to a new school. I met some friends who were bronies, and they showed me the show. I really enjoyed them, and I just hope everyone knows that in the future, things will get better. It’s sort of like a cake. You don’t want to eat two cups of flour, two raw eggs, melted butter, and a tablespoon of pure vanilla down your throat separately. You want the cake. Same as life, you just have to wait until the timer is finished, and then life will get better. Well I’m glad that your life got better (and it’s a good analogy). Life isn’t easy being a Brony. I know. I actually joined because of what I saw one day. I used to hate Bronies and everything dealing with MLP until my little bro showed me the show. I loved it. But of all the characters in the show one stood out to me the most. A grey mare by the name of Derpy Hooves. She reminded me of myself the one people looks down and made fun of all the time. I always got picked on for stupid reasons to be honest. In truth before I discovered MLP I was really depressed and was on the verge of insanity. But since i discovered the show it made me whole. In a way. It filled a void that was missing. I never got beat up but for me verbal abuse is worse then physical abuse. I spent all my life writing a fiction of mine and I almost threw it away one day because one of my teachers I thought said it was useless and would get me no where in life turns out he said that it would I just need to control when I wrote it and when I didn’t. I find it hard to imagine the pain you went through. I also encountered a true hater on Steam yesterday that came out of the blue and started insulting me for no reason. But I have to deal with these kinds of situations constantly. But my autism has given me more knowledge then haters know. But if there’s anything Derpy and God has taught me it would be that people are naturally hateful and that the stronger person stands up for others rather then abuse them through hate and pain. I never got physically beat before but I tore open my hand when I was little and lost all nerve in my left pinky finger and will never get the feeling back. Anyway guess what I’m trying to say is. Hope this message helps you feel better. Also I’m happy your life is better. That’s why you look towards now and not at the past it will always get better. That’s why it’s called the present. I know what it’s like to be accused of doing something that you know you’d never did or do… I.e. drugs and what not. I was never liked much in school, treated like an outcast till I was a senior. Don’t get me I had friends, but that was only in school, and very few. If it weren’t for them I wouldn’t be the person I am today. With all the stuff going on at home, accused of stealing and such, I actually went in the Army, active duty, to get away from it all. I was even kicked out at 18 and still in high school… Glad my older sis was there till I went to basic. All of this you must take in strides… no matter what going on in your life… Granted no one likes what life throws at you, but it will make you stronger, you know you better than anyone. Pushing forward will make life worth while in the end. Life is hard, but no one said that its easy, nothing ever is really. Stand firm to what you beleive in and it will turn for better in the end. Aye, that’s the truth, ma’am. That’s the truth. 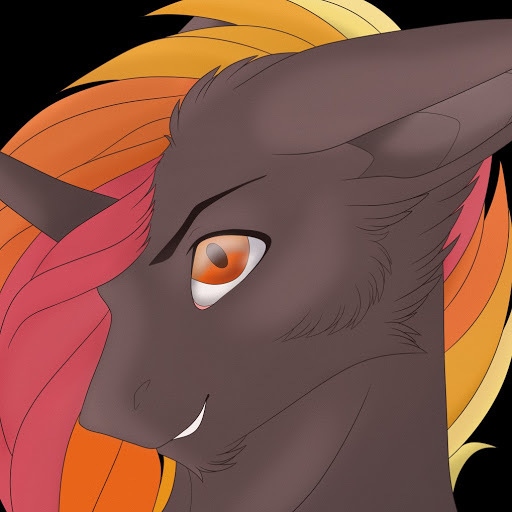 great story … same here the only diffrence in my stroy is a year befor i became a brony i unleashed hell on everyone i didnt care about and i only cared for one friend and one dog. Man, you are so amazing in every single way. Just know always that at least two people in this world love you. I’m just reading this today and I feel heart broken. I’m sorry for you.